Description: 1. Aluminum housing with white outer surface, ultra-thin design conception. 2. Matched with a high efficiency constant current driver. 3. Energy saving, low heat, no UV or IR radiation, no mercury; 4. Recessed installation; 5. High quality PMMA diffuser with over 90% light transmition achieves even and soft light output. 6. Application: For ceiling or wall lighting. It can be used in shopping malls, hotel, meeting room, commercial theatre,museum and so on. 7.Package Info: Ctn size 55*48*29cm, 30pcs/ctn, Gross Weight: 19KG/ctn. 8. Warranty: 24 months. P0150 adopts 24PCS 0.5W LED as luminous body, matched with high efficient LGP and elegant aluminium housing which emit high light output. No glaring, stable quality and long life-span. 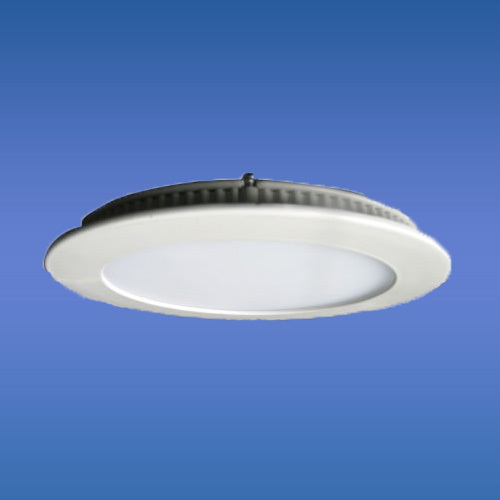 It can be installed into ceiling or wall.As a replacement of traditional downlight , it is widely used for hotel, restaurant , commercial & residential lighting. Feature Housing: Aluminium material with good heat conduction Adopts efficient light guide plate of PMMA material, no glaring High efficient and wide voltage constant current driver keeps stable current of the product Elegant design, ultra-thin, and convenient for usage.